Close to 100K! 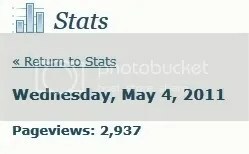 Thanks to all the people who viewed my blog. To my students who are always willing to visit my CSWD01 Web App tutorial, thank you too. Also to my Co-teachers, hehehe. For my 90,000th view, I promise to create more and more variety of content. Whether it’s about gaming, or the technology, or software development, as well as those entries in my online diary. Also, check out misiscomputer.wordpress.com. That’s my girlfriend’s primary blog. For now, there isn’t anything but only about ME. But soon, that blog will be filled with her own feelings and interests. I also post there, take note. 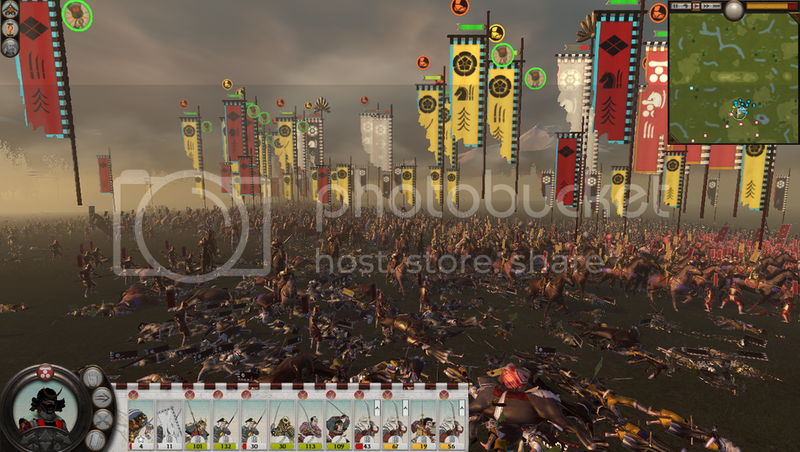 Below’s a screenshot of Total War: Shogun 2. I stopped playing it last year but planning to continue soon and make a review. Also, in my check list, I’m planning to make reviews of games like The Elder Scrolls V: Skyrim (which I have been playing for a while now), Shift 2 Unleashed, Ridge Racer Unbounded, Call of Duty: Modern Warfare 3, Battlefield 3 and Saints Row The Third. That’s a lot. 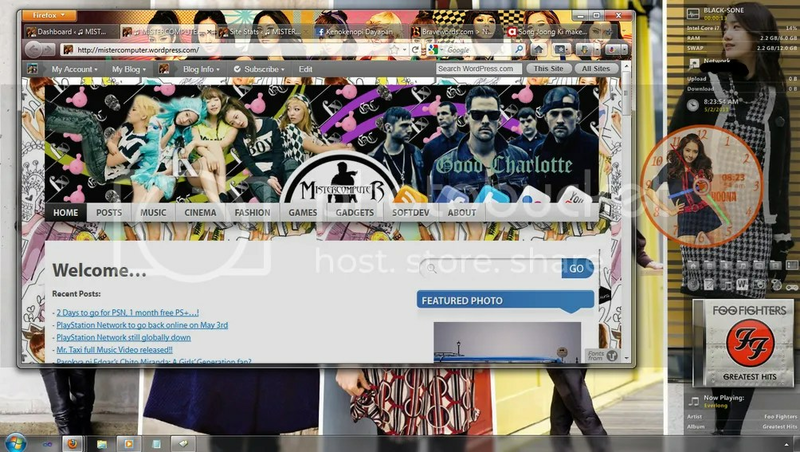 And my review for my 17incher ASUS notebook, albums by Taylor Swift, Lamb of God, In Flames, etc. Really a lot more content, so watch out for that! After almost 3 months of celebrating my 50k hits, I am now thanking everyone for making mistercomputer a great weblog for various media. I now achieved another 10,000 hits. Thank you everyone. 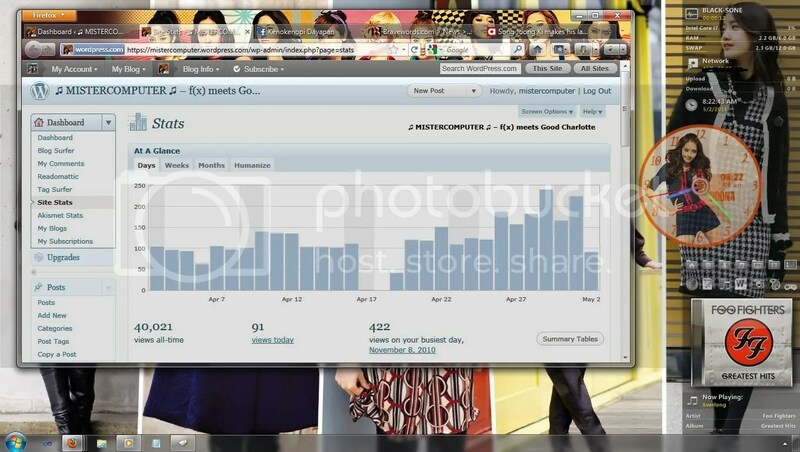 It’s pretty obvious that the author is quite inactive in blogging and the picture below explains it all. It’s a photo of myself holding my girl’s pretty hand. I am so happy having her around and I now have a lot of dreams I want to fulfill with her. I Love her. By the way, I have plans for changing the domain name of mistercomputer to just mrcomputer. Do you agree? I hope it’s fine with you all. More contents soon, so just sit back and relax. 60k FTW! Goodevening to all, it’s me again and I have good news for my readers. I was actually busy settling things up related to the job I’m currently aiming, then I went back home. Checking out mistercomputer’s control panel while listening to Arch Enemy’s latest effort, Khaos Legions, I found out that I have now achieved the “Thousands of Gold” mark. 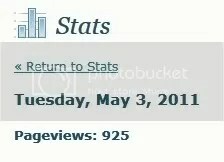 I finally have 50,000 hits from the time I started this blog! I twitted about it immediately coz’ I really feel happy. Thinking that I achieved the 40,000 mark back on February, just less than 4 months ago, I think this makes mistercomputer to the next level. In that 4 months long of life, I have updated everyone with the PlayStation Network’s sudden shutdown, the firmware 3.61, and its current ongoing comeback, also 3 new addition to my customized PlayStation XMB themes (T-Ara, T-Ara – YaYaYa, SNSD Intel, Park Bom), as well as establishing my very own one-man independent subbing squad, MCsubs, subbing WGM Khuntoria couple EP38, the review for Need For Speed: Hot Pursuit, SNSD Yoona’s birthday and trending in twitter, and lastly, one of my newest hobby right now, watching then writing recaps for MBC Couple or Trouble. 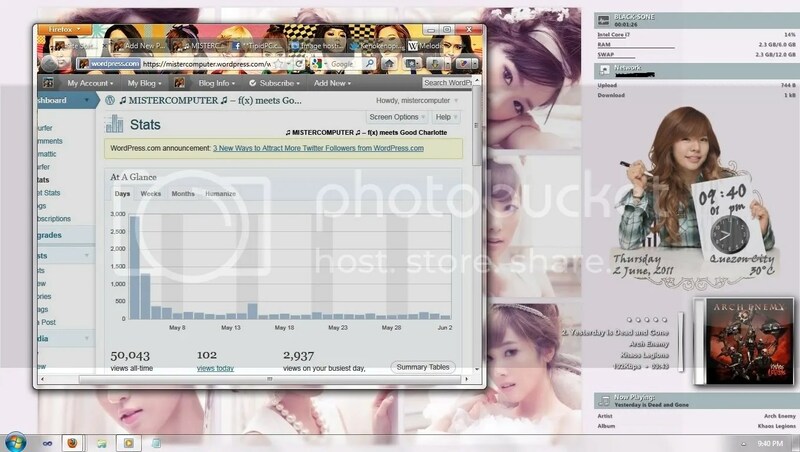 Greetings to TipidPC.com’s PlayStation 3 thread and SNSD (Girls’ Generation) thread. Goodevening! That’s right! Believe it or not, what the title says is definitely true! I am so happy that mistercomputer is achieving this success right now. Last night, it was the most recent Busiest Day record holder with a total of 925 hits in just a single day. But as that night pass by, around 2am (glad I’m still awake at that hour), I noticed how on earth I already achieved 500+ views. That’s miraculously amazing. And then as the morning comes, I was surprised as mistercomputer already had 1k hits, take note it’s a 1,000 hits that last night never had.Later on, I came out and pay my school a visit and took a pictorial for our yearbook. As I go home, around 2 in the afternoon, I already anticipated about how many hits do I have once I logged in back here in WordPress. I slept and then after watching My Princess (tagalized), I checked it back. Gosh, it is indeed true! Thanks to my recent articles about the PlayStation 3 and the PlayStation Network. 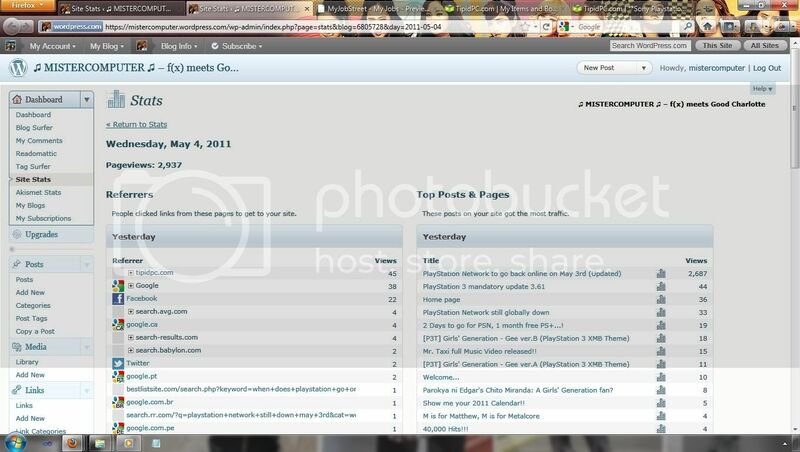 Gamers came in and out of my blog after reading it. Anyway, thank you very much for helping me reach this kind of status for mistercomputer. I really hope you guys will keep on subscribing to my content. And please do hit the RSS button or atleast Bookmark my page. Thanks! The title says it all. And Twitter says it all. Mistercomputer has finally reached the 40K mark. Great thing? of course. The Author of this weblog would like to express his happiness. It really made my morning feel good and it’s been a while I’ve since been so excited for another chapter of this blog. From the start of this blog, and the start of my blog-life which can be traced back in late 2008, Mistercomputer’s main objective is to be my cyber diary, with some extras such as news about K-pop and other music genres, software development-related stuff, cool downloadable goodies and game reviews. Over the years, that’s nearly 4 years, Mistercomputer expanded its line with a more of an all-in-one or general blogging technique, which brought me the challenge as I’m also finishing up my college degree at those times. For that 4 years, I have made almost 20 game reviews, a few movie reviews, the addition of the ‘fashion’ category, as well as connecting my external sites accounts such as Facebook, Twitter, YouTube, via WordPress.com’s connected accounts feature or just through the External Sites page. The development does not stopped there. 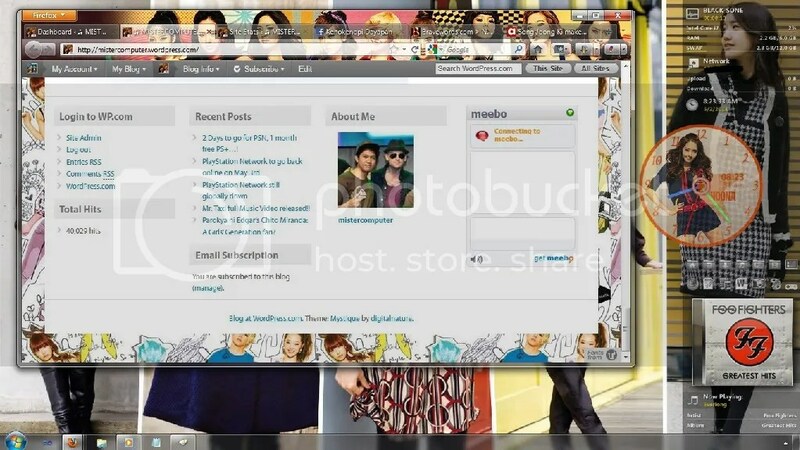 I recently managed to transfer almost all the photos I posted before that are uploaded via Facebook, and now they’re in my Photobucket account, that includes PlayStation Home photos and a lot more. I achieved the 30,000 mark back in February, when I had to do the coverage for the Heavy Metal category for this year’s Grammy, the time I was really busy for vacation. Thinking of it, I have won 10,000 audiences to read my blog for just 2 months. – Re-organizing ‘Fashion’ category and the addition of ‘Health’ section. – Re-organizing ‘External Sites’ and publishing the ‘About the Author’ and ‘About the Blog’ pages. – I have plans for establishing a One-man Tagalog and English subbing team. Name currently undecided. – More Movie and TV-related content and also, Music content. These plans are all currently just plans. Soon, I’ll be coming home as a Bachelor of Science Major in Computer Science, and will be looking out for jobs. Good luck to me coz’ that’s gonna be a busy moment but as long as there is Internet Connection and there are audiences, this blog will never close down. Actually, I did not listed this one above but as you can see, there is a ‘SoftDev’ label in the menu so that means, I have plans for stuff related to my field. Anticipate it! And to every single one of you who take time to read even one single sentence in my blog, really thank you. You are and will always be part of this achievement.